We hope you had a wonderful long weekend and are refreshed and ready to kick off the end of the school year. Wednesday, May 30th is Joachim Night at the Worcester Bravehearts. Thank you to everyone who purchased tickets. If you would still like to make a donation to this family you are welcome to send in a check to JA PTO with a memo note of "Joachim Donation". 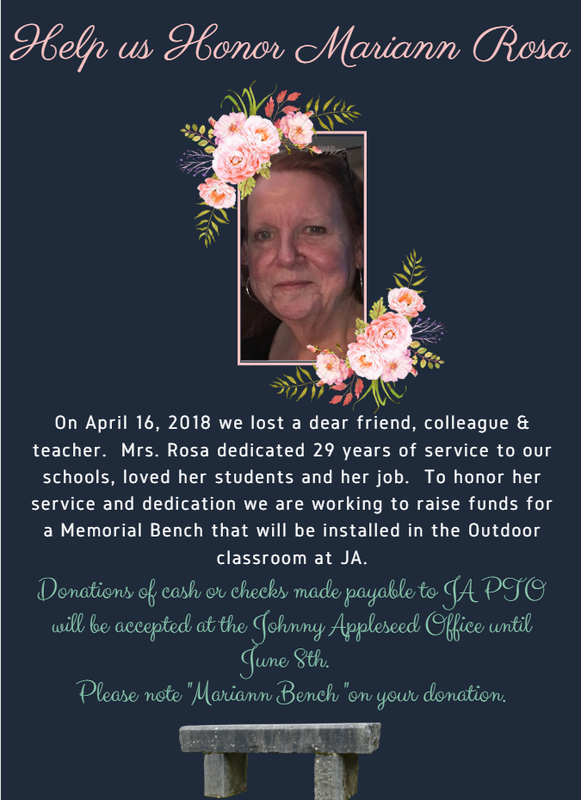 We thank you for your support of this family. 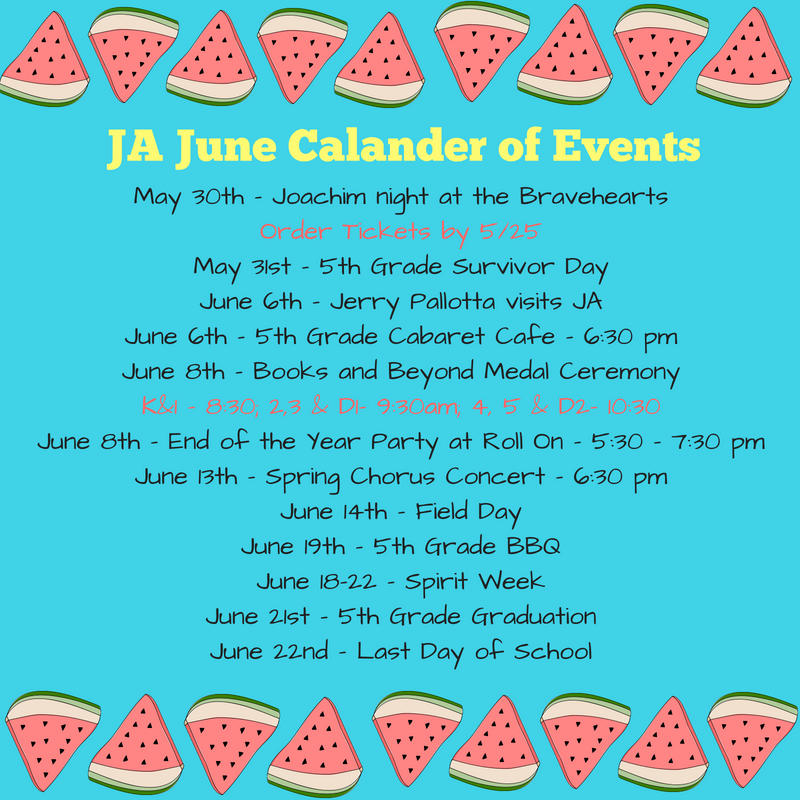 5th Grade Survivor day is May 31st!! Go Team JA!! Friday, June 1st we welcome back Leominster High seniors who attended Johnny Appleseed when they were in elementary school. Our students are excited to line the hallways and send off these high school seniors. As a reminder, Wednesday, June 6th is no longer a half day but a full day!! It was also just announced June 22nd (the LAST day of school) will now be a half day. 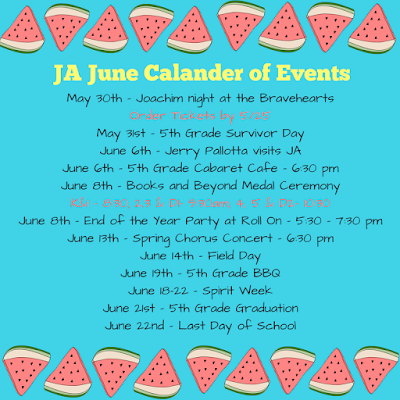 Last call for Boxtops for the year!! Baggies, Envelopes, Stuck to sheets of paper... You send them and we will take them. 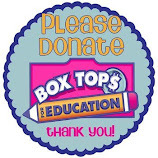 Every 10 box tops equal $1.00 for our school. How easy is that? Please place your child's name as there will be a prize drawing for each grade!! Make sure you are following us on Facebook for up to date information and to stay in touch over the summer!! 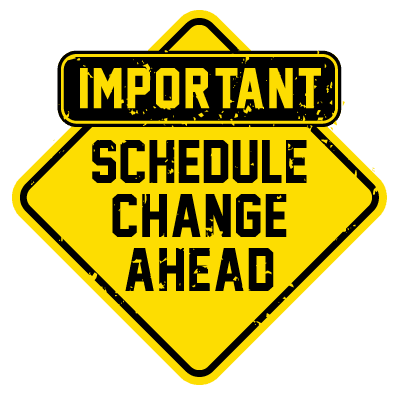 Including Tuesday, May 29th only 18.5 days left of school! !